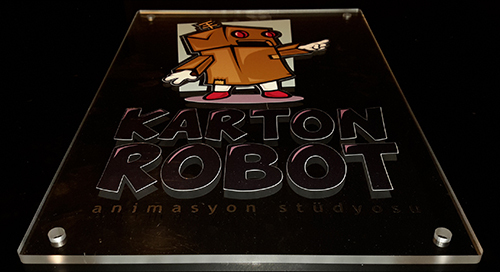 Kartonrobot Animation Studio was founded in Ankara, in 2013. Besides purpose of our studio is making animation movies/productions have international quality standards, our studio is also making special effects for movies, commercials and mobile applications with its experienced team. We are always in a development process as team, as well as improving tools we use to state of the art level since our studio was founded. Both technically and visually we aim at "the best" as quality standard and we work for it.